Con Before the Storm is a Blizzcon event by fans, and for fans. It takes place the night before Blizzcon, and includes guest “personalities”, podcasters, streamers, pro teams, artists, and fans across all Blizzard Games. Con Before the Storm has announced that this year’s event will include World of Podcasts. 2018 is the sixth year of Con Before the Storm. They held a successful kickstarter in order to raise funding for the event. One of their stretch goals was a $24,500 tier which, if raised, would enable Con Before the Storm to include World of Podcasts in the 2018 event. World of Podcasts will include live panels with your favorite podcasters from across the Blizzard Universe talking about Blizzard games. They also have virtual panels as well, and the audio is always posted for consumption on your favorite podcast listening device. At the time I am writing this blog post, Con before the Storm is in the planning stages of the World of Podcasts event. 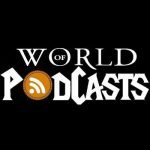 They are seeking people who produce a podcast that covers a Blizzard game who are interested in participating on a World of Podcasts panel.